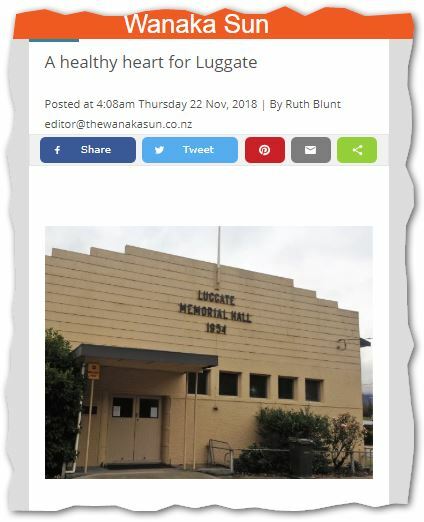 22 November 2018 The Wanaka Sun’s Ruth Blunt: A healthy heart for Luggate | Sustainable Engineering Ltd.
Luggate Hall is the is a community hub in Queenstown that needs to be replaced due to seismic strengthening. The community has pulled together a business case plan through the Government’s better business model to pursue Certified Passive House for that community hall in order to capture the thermal comfort, health & the low energy ongoing energy cost benefits. Once you own a building long term it makes sense to do it right – once. Content by The Wanaka Sun.